ALLEGRA BOVERMAN/Staff photo. Gloucester Daily Times. 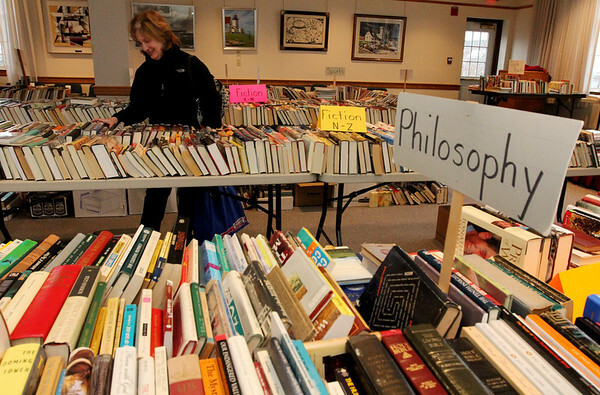 Rockport: The Friends of the Rockport Public Library is holding a book sale all weekend at the library on School Street from 10-5 on Saturday and 1-5 on Sunday. Claudia Haskell of Rockport browses on Friday.